Handy Tech Tools for Foodies! According to Barry Popik, contributor to the Oxford English Dictionary and other word books, foodie was first used when Gael Greene of New York Magazine used the word in a 1980 article. But across the pond, there were also citations for the word “foodie” in London that appear to be coined independently from the appearance in New York Magazine. Wherever the word first originated, today’s foodies are food and drink obsessed aficionados. From snapping photos for social media fodder to sharing the best recipes, foodies are ready to share their passion with the world. 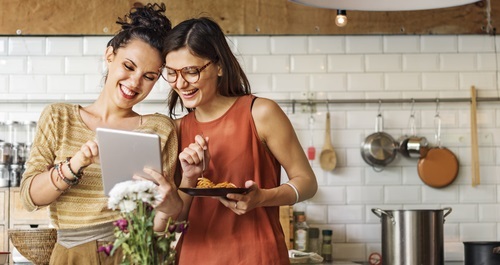 Fortunately, there are plenty of resources for modern-day foodies including tech tools that help you make healthy, homemade recipes that are delicious and nutritious without feeding your family processed foods. Here are five to pick up for your next culinary masterpiece. Foodies and foodie photos seem to go hand in hand with our social media feeds and favorite food blogs swimming in delicious looking photos. Choose a high-quality smartphone with a camera like an iPhone. But unlike the pricey iPhone X, the iPhone SE retails for just $349 and comes with a 12mp iSight camera, 4k video recording to shoot footage of your favorite recipes and 32GB of memory. Along with all of the photos you can take with the iPhone SE, there are also plenty of foodie-inspired apps to load up on your smartphone. Start with Tender, an app that lets you swipe right to save a recipe and try it for your next dinner party. Keep your hands free while you cook and ask Alexa to look up a recipe, get the best cooking time for your entree, or find a suitable ingredient substitute. The Amazon Echo is also a great way to find information on the best wine pairing for your dish on the fly. 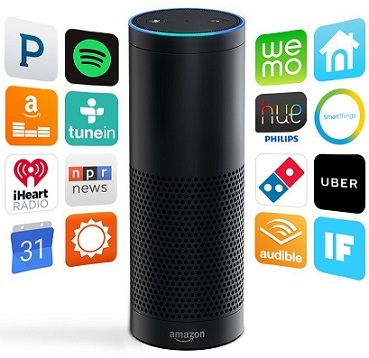 The Amazon Echo is affordable, helpful and can serve as an assistant in your kitchen. And when your food is ready to go, you can ask Alexa to queue up your carefully curated dinner playlist and settle in for an evening with your favorite dish. Foodies who love a good craft beer or bubbling draft with their meal can get the same fresh taste at home with Fizzics. The micro-foam technology promises to improve the flavor, taste and mouthfeel of any carbonated beer. Aside from just looking fantastic, your Fizzics micro-foam beer comes out with the enhanced aroma, a creamier mouthfeel and helps preserve its flavor. If it sounds familiar, wine enthusiasts will probably liken it to the same concept as a wine aerator that opens up the flavor of wine in a snap. Convection ovens have primarily been used for their basic convenience, but now the June Oven promises to make cooking faster, easier and tastier all in an intelligent smart home style package. 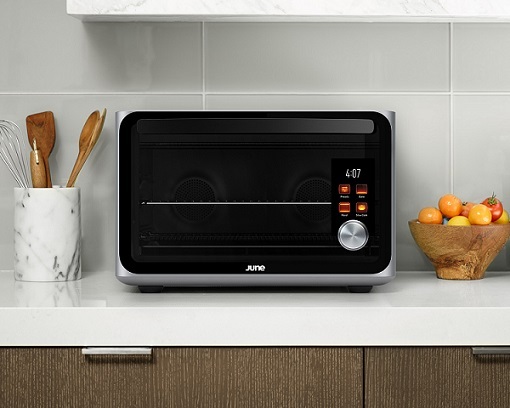 Connect it to your smartphone and keep track of what’s going on in your oven, turn it off and on or adjust on the fly. But the June Oven says it can handle it. Users just need to set its doneness preference and the adaptive cook presets take over to roast your broccoli or chicken to perfection. Getting your tea just right can actually transform into an exact science with the Imbue magnet tea infuser. With thousands of enthusiastic backers from a successful Kickstarter campaign, this tea infuser features a shatter-resistant borosilicate glass is topped with a magnetized bamboo lid that holds tight to the stainless steel trainer. But it’s real claim to fame is brewing loose leaf teas without all of the complications, messes and spills. Foodies love the creativity and flair of a good meal. But food-inspired tech tools should enhance and add excitement to your meals, not complicate them. Choose the gadgets and tools that bring the most flavor and fun to your next meal and leave the rest on the storeroom shelves. Have you tried any of these helpful foodie tools and if so share your experience with us in the comment section please.